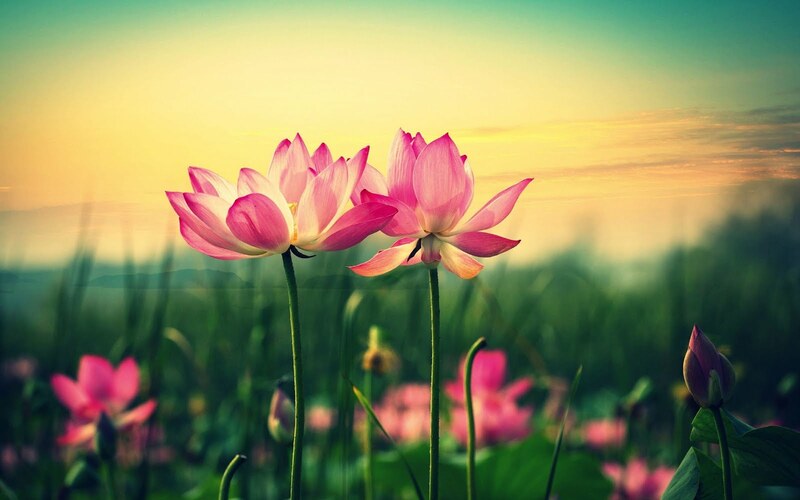 Emotional Empowerment: What is DBT? DBT is research-based treatment for suicide, affective disorders, substance abuse, personality disorders, eating disorders and self-injury. 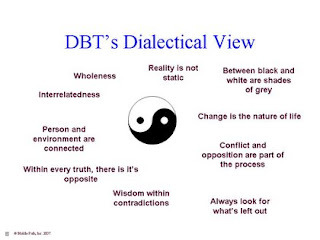 A Dialectic is seeking a dialogue between two opposites. 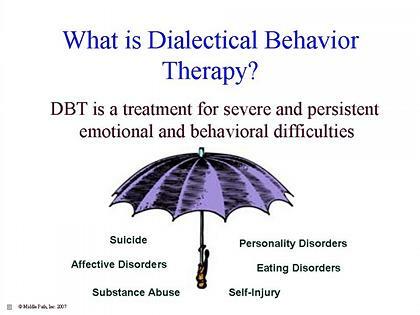 DBT can be applied to its original population - Borderline Personality Disorder, aka Emotional Intensity Disorder. It can also be applied to Bipolar Disorder and Addictions, including Eating Disorders. Download Emotional Empowerment DBT brochure (page 1, page 2). Labels: Dialectical, What is DBT?